For the 2018- 2019 season, GTS will offer 7 courses for the Geordie Juniors and 4 courses for the Geordie Teens. The Fall Session will run for 12 weeks from September to December 2018 and the Winter Session will run for 12 weeks from January to May 2019. All public classes are held at the Greene Centre (1090 Avenue Greene), Westmount, QC H3Z 1Z9. 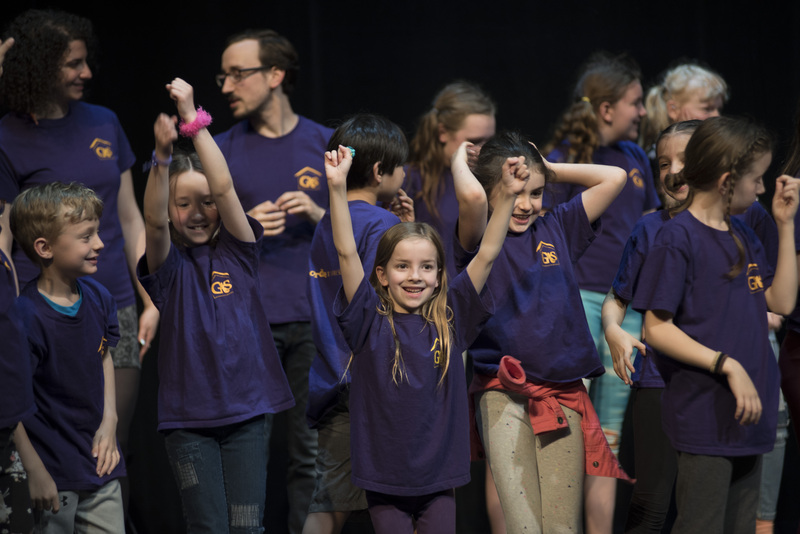 Geordie Juniors are taken through theatre exercises in order to develop skills in storytelling, character development, physical acting and using their imagination. During the course of the session, students learn to share ideas and invent scenes through improvisation and teamwork. Each session ends with some form of a final presentation or performance which is created collectively as a group. Maximum 12 kids per class. Public 10 to 12 years: Saturdays 2:00 pm – 3:30 pm CLASS FULL. Contact Jessica. To pay for registration via cheque, please print up the GTS Registration Form and mail to the Geordie Offices attention to Jessica Abdallah. Geordie Teens learn to to develop and improve their acting skills through various dramatic exercises such as: character development, improvisation and creative movement. Students will create and rehearse a final performance using teamwork and their newly acquired acting tools at the end of term. Maximum 12 teens per class. Teens 13-17 (high school students): Thursdays 6:00 pm – 8:00 pm - Classes start February 14th! Teens 13-17 (high school students): Sundays 1:45pm - 3:45pm NEW! Classes start February 10th! PLEASE NOTE:The Thursday Teen Class will be separated into Levels 1 & 2: Students will be placed in levels by the GTS Director based on experience and/or age. Geordie Advanced Teens continue with a more thorough examination of what skills are needed to be an actor and will receive more individual attention. Some of the elements that will be explored throughout the course are: more detailed look at character development, script analysis, and monologue work. Students will work throughout the year on a script which will performed over the course of 2 days at the end of the year. Maximum 8 teens will be accepted into the Advanced Teen Class. NOTE: Registration in the Advanced Teens Class is conditional and requires permission from the GTS Director. Please contact the GTS Director to inquire about registration. The Advanced Teen Class runs from September 2018 – May 2019. NOTE: Registrations are subject to approval by the GTS Director, Jessica Abdallah. Cancellation in writing one week prior to the first class – Refund minus $15 processing fee. Cancellation in writing before second class – Refund minus $25 processing fee. Cancellation in writing before third class – Refund minus $100 deposit. Cancellation after third class – No Refund. FOR GTS WORKSHOPS: Cancellation in writing at least 2 weeks prior to the workshop – Refund minus $15 processing fee. FOR GTS WORKSHOPS: Cancellation less the 2 weeks prior to the workshop - No Refund. If a student must cancel due to medical reasons a physician’s note must be provided and a pro-rated refund or credit of equal value towards a future course at the Geordie Theatre School will be applied. All courses have a minimum and maximum enrollment – should a course not meet the minimum enrollment, cancellation may be necessary. The Geordie Theatre School reserves the right to change instructors without prior notice. The Geordie Theatre School has a zero tolerance policy for inappropriate conduct. Any student showing a lack of respect for GTS staff and property, as well as fellow students or instructors, will be dismissed from the class permanently with no refund. Participants are expected to be on time. The Geordie Theatre School cannot assume responsibility for students before or after class time. The Geordie Theatre School reserves the right to videotape or photograph classes, screenings and performances to publicize the program. The Geordie Theatre School is not responsible for lost or stolen property. All parents and students must read, sign and return the Geordie Theatre School Responsibility Contract to the GTS Director prior to the first class. The Responsibility Contract will be provided by the GTS Director once a student is registered. GTS adheres to a strict Bully Policy (outlined in the Responsibility Contract) and all acts of bullying will be dealt with by the GTS Director and may result in a child being asked to leave the course.